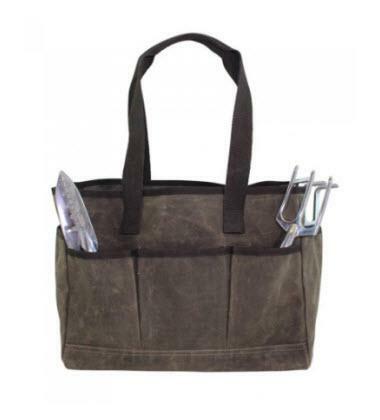 Keep everything organized and right where you left it with Monogrammed Olive Canvas Utility Tote! Great for small toys, snacks, gardening tools, arts and crafts, really the possibilities are endless. 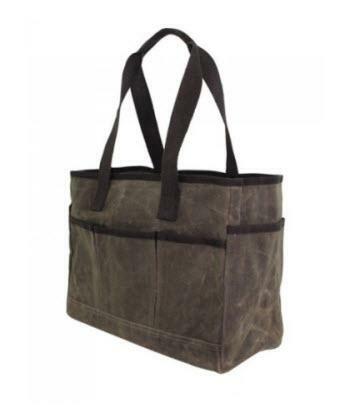 Made with sturdy 100% high quality waxed canvas that has rich dark brown handles and trim. The inside is very spacious and the outside has eight open pockets. Monogram, add an initial, name or phrase up to ten characters in your favorite embroidery font and thread color. Makes a great custom gift! Also available in slate, yellow, and khaki.